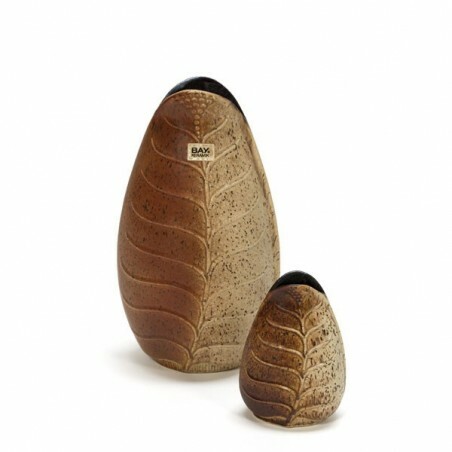 Set of two vases in the shape of a leaf in ceramic by the German brand Bay. 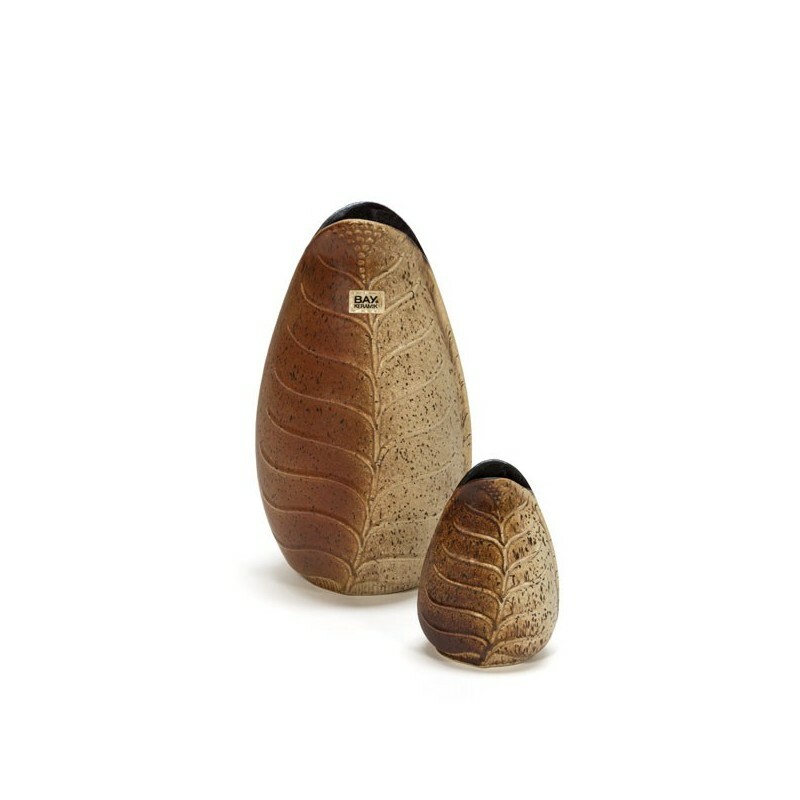 The vases are labeled by a stiker and at the bottom. The condition is good, undamaged. The size is 30 cm high and 14 cm high.